3,655 sq ft; lot: 4.48 acres - MLS# 1384633 Courtesy of RE/MAX Whatcom County, Inc. 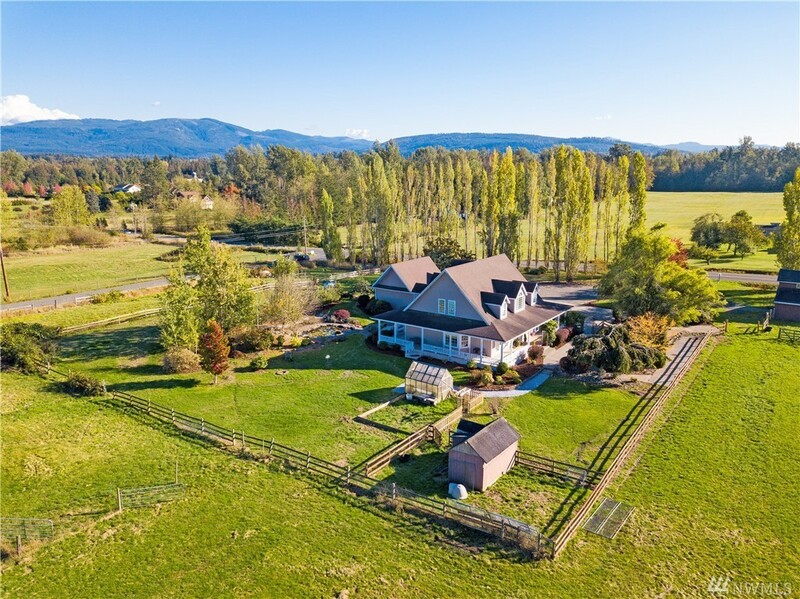 Enjoy Mt Baker views & space for your horses on this outstanding flat 4.48 acre country estate in Bellingham! Beautiful & spacious home features main level Master Ste, living rm w/vaulted ceilings & 2-sided FP, formal dining rm, open kitchen w/granite & stainless steel, walk-in pantry, 4 upper bdrms, bonus rm, & guest suite w/kitchenette! Covered, wrap around deck & waterfall pond, stall barn, pastures, chicken coop, greenhouse, fruit trees, French drains, tons of storage, new furnace & MORE!